On 14th November 2017 ECE Managing Director, Stuart Eatock, will be delivering a PechaKucha (a presentation style in which slides are shown for 20 seconds each) at the RIBA Conference, ‘Guerrilla Tactics 2017′. The focus of the conference is ‘The Power of Small’ – highlighting how small practitioners can positively manage change and adopt new beneficial ways of working, with an emphasis on continuous bite-size improvement. Stuart will be talking about ECE’s seafront installations, ‘A piECE of our mind’ – a series of 3 small projects which have had a big impact. The project began in 2015 with the ‘Mirrored Beach Hut’, an installation on Worthing Beach. 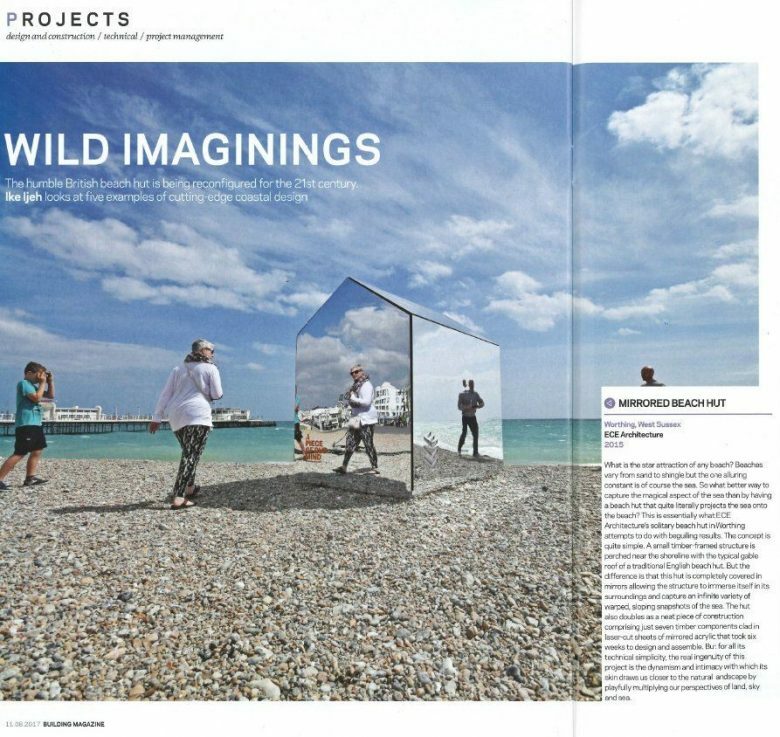 As well as engaging with the local community, the story of ‘the Mirrored Beach Hut’ had a far bigger reach, appearing in national press (including a centrefold in the Guardian) and winning multiple advertising awards. In 2016 ECE delivered a collection of ‘Mirrored Doorways’ and in 2017 the reinvention of Grafton car park on Worthing seafront with bright and bold SUPERGRAPHICS.